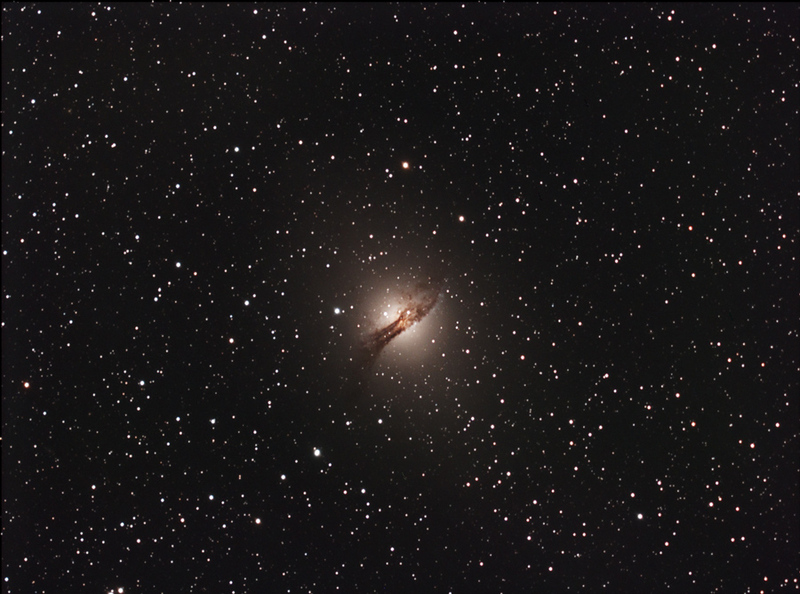 Centaurus A is a lenticular galaxy about 14 million light-years away in the constellation Centaurus. for emissions in the X-ray and radio wavelengths. The bulge of this galaxy is comprised mainly of evolved red stars.